Dallas, TX (January 22, 2019) – Dallas Partner Leiza Dolghih will present at the Dallas HR Education Event & Legal Exchange Conference on February 12, 2019. Her presentation, “The Role of HR in Protecting Company Trade Secrets,” will cover the fundamental duties of HR in protecting a company’s intellectual property. DallasHR provides monthly opportunities for legal professionals to network and attend insightful presentations where they can receive CLE credit. 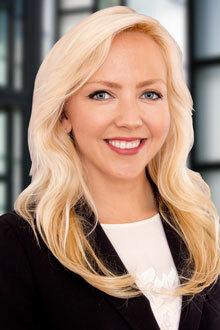 Ms. Dolghih currently serves on the Trade Secrets subcommittee of the Texas Bar Intellectual Property Section and frequently writes about employment law and trade secrets issues in her legal blog, the North Texas Legal News Blog.